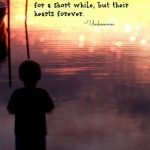 Mother’s Day is just around the corner! 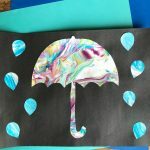 If your looking for a cute and easy craft for your children to do, then you’ll have to check out this craft! 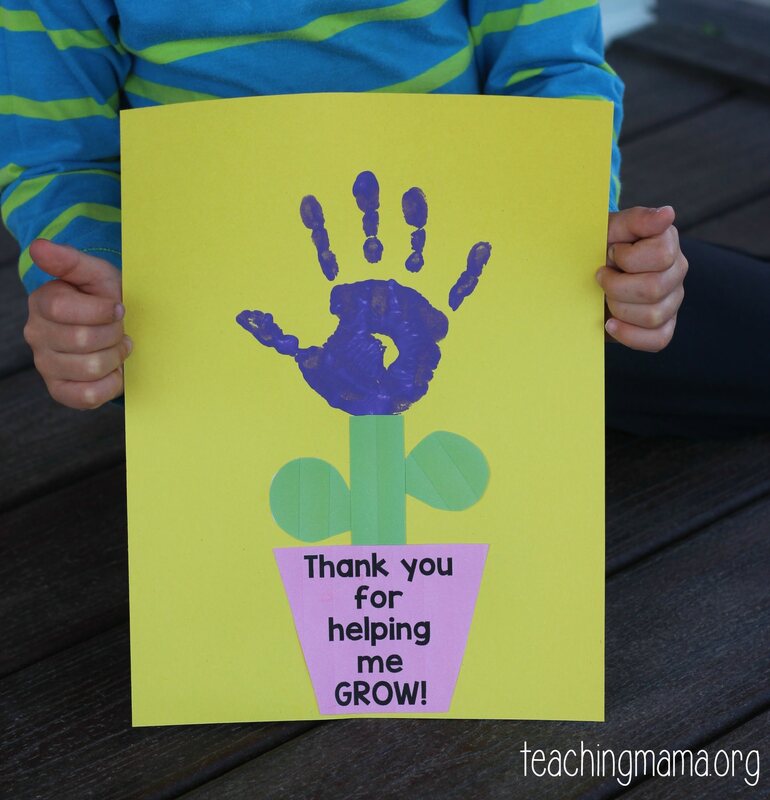 This “Thank You for Helping Me Grow” craft is adorable and would be a great gift! You could even give this gift to a favorite teacher. 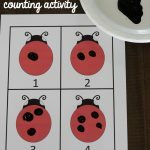 I tried to make this activity as easy as possible for you! 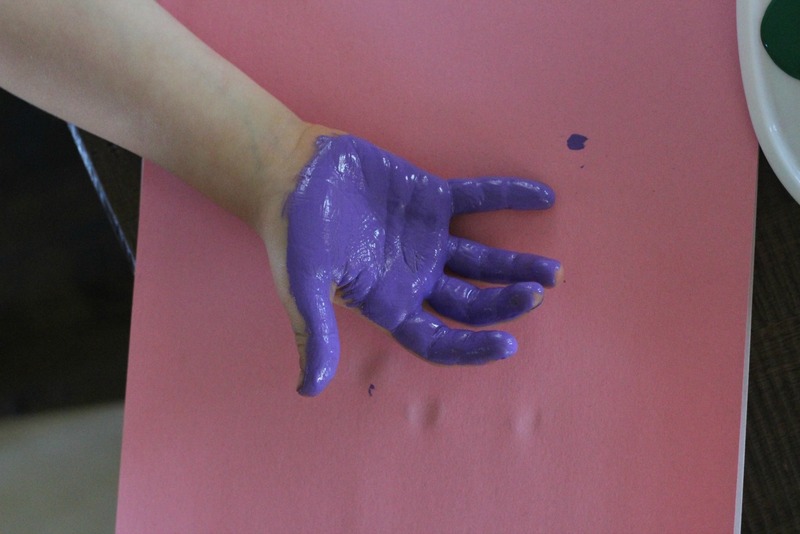 Begin by painting the child’s hand with whatever color you want the handprint to be. We chose purple. Make sure to coat the hand really good with paint! Then stamp the handprint on the upper part of a piece of paper. 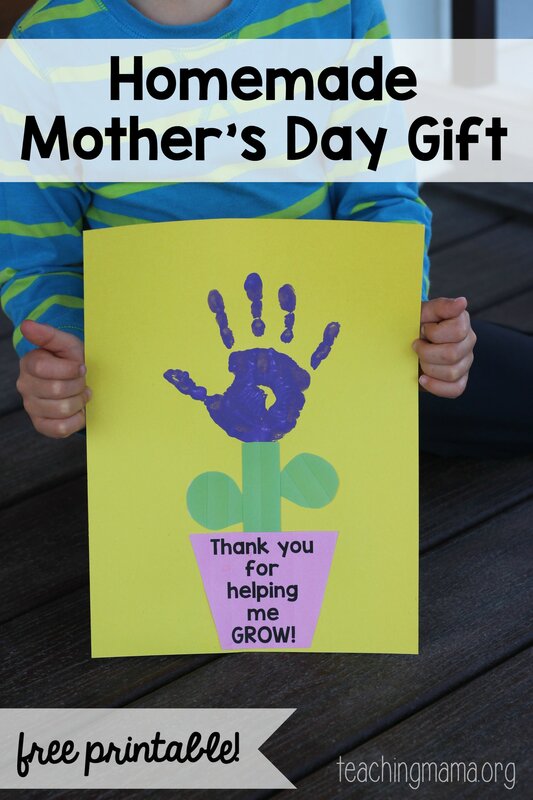 Cut out the stem, leaves, and flower pot pictures from the printable. 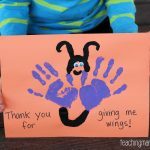 Glue them onto the paper, below the handprint. Let it dry and then you’re done! 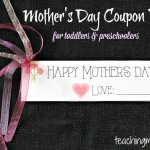 Super easy, but will be a treasured gift to a mom or teacher! 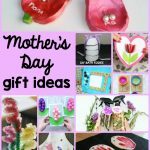 I know I LOVE handprint gifts and always keep these kinds of crafts! Love this. I have a home daycare Little Sprouts and this will be my Mothers Day project. Thank you for sharing.